Hypocuprosis is the term used to describe an unusually low level of copper in the blood and plasma. Continued hypocuprosis will lead to a deficiency of copper in the body, which can serious health consequences. 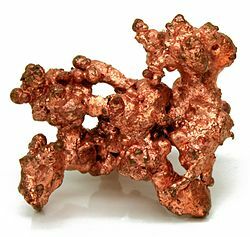 Copper facilitates the uptake of iron and so a deficiency of copper can produce, amongst other problems, anaemia-like symptoms. A deficiency in copper will also lead to the malfunction of metalloenzymes, these enzymes have an important antioxidant role in the body, protecting DNA from free-radical damage. Hypocuprosis is more common in grazing cattle than might be expected. At one point, copper deficiency in US beef cattle reached over 40%. It can often be difficult to detect a copper deficiency in cattle due to the wide array of symptoms caused by the deficiency. On a farm it is unlikely that one cow will be affected, as the problem will likely be due to the nutritional composition of their feed. All these symptoms can contribute to an economic loss for the herd owner. There is also strong correlation between hypocuprosis and abortion in cattle. A recent study found that 87% of aborting cattle were copper deficient (Sakhaee 2011). A calf born from a copper deficient cow is much more likely to suffer from hypomyelination of the spinal cord – a condition which can cause muscle tremors, ataxia and paralysis. A copper deficiency can be difficult to diagnose, as there are many differential diagnoses. The only true way to diagnose a deficiency is to analyse the levels of copper in the blood and blood plasma. Sometimes, the level of copper in the liver is also measured as hypocuprosis is observed in the liver before the blood (diagnosis from liver plasma is more expensive however). There are essentially two ways to diagnose a copper deficiency, either by blood analysis (to detect if the blood is low in copper) or by nutritional analysis (to detect if the diet is low in copper). If a farmer or herd owner believes their cattle may be suffering from a copper deficiency there is a method they can use themselves to determine whether or not this is the case. By selectively treating a small group of cattle, the farmer can monitor changes in their health. If the selected group appears to recover and the remainder of the herd continues to suffer with copper deficiency symptoms or general ill health it can be concluded that a copper deficiency is the root of the problem. See below for how to treat a copper deficiency. There is essentially only one way to treat a copper deficiency – increase copper intake! In more severe cases, copper solutions can be injected to rapidly raise blood plasma Cu levels. In most cases however, a commercially available dietary copper supplement can be added to the feed. This will ensure the cattle are meeting their required daily intake of dietary copper. To prevent future instances of copper deficiency, the farmer could either choose to continue supplementing the poor quality feed with a copper supplement or increase the quality of feed. In certain high yield dairy herds, it may be impossible to meet nutritional demands, especially post-parturition therefore supplementation may be a necessity. When using a copper supplement, be cautious of copper toxicity – farmers are supplementing feed with increasingly higher levels of copper and as such copper toxicity is on the rise. Sakhaee, E., Kazeminia, S. Relationship between liver and blood plasma copper level and abortion in cattle (2011) Comparative Clinical Pathology, 20 (5), pp. 467-469.